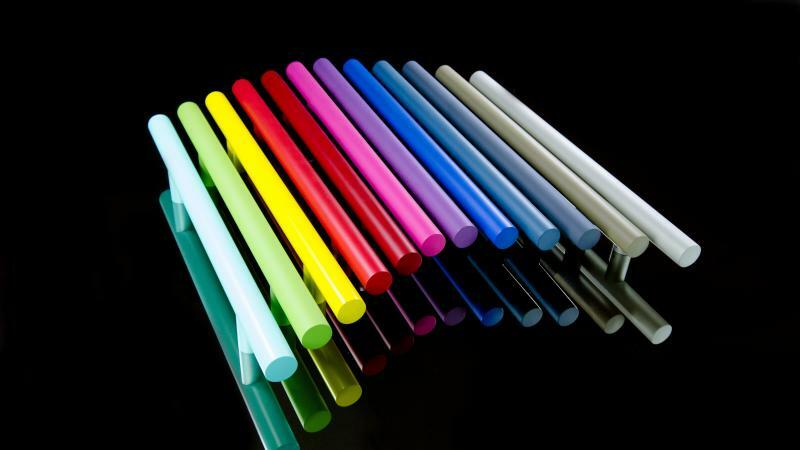 Hardware manufacturer Inox has developed Rainbeaux, a new range of colors for its CereMax ceramic-coated hardware. The twelve new color options allow designers to meet homeowner desires for color or add an accent color to a space. The nature of the durable CeraMax ceramic finishing allows it to hold up against wear or fading; it was designed to keep its color and feel even in harsh environments including salt spray, oxidation, humidity, and ultraviolet light. Each CereMax hardware piece is finished by hand in a process that includes sand blasting, ultrasonic and high-pressure air cleaning, and baking in a finishing chamber.